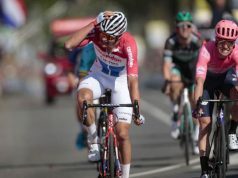 Fernando Gaviria (UAE Team Emirates) held off Peter Sagan (Bora-hansgrohe) to win stage four of the Vuelta a San Juan. 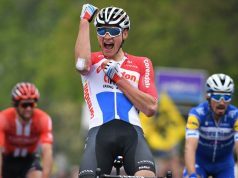 Gaviria looked like he’d kicked slightly too early, with Sagan getting a great position on the Colombian’s wheel, but the 24-year-old held off the multiple time world-champion to edge a photo finish. 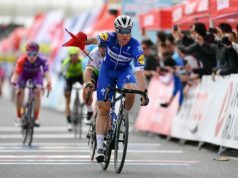 Alvaro Hodeg (Deceuninck-Quick-Step) was third. 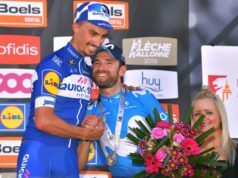 Julian Alaphilippe (Deceuninck-Quick-Step) kept the overall lead, which he earned with a win in Tuesday’s time trial stage. 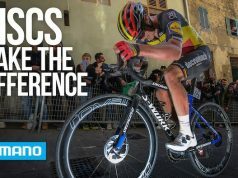 He also won stage 2 in a solo breakaway. 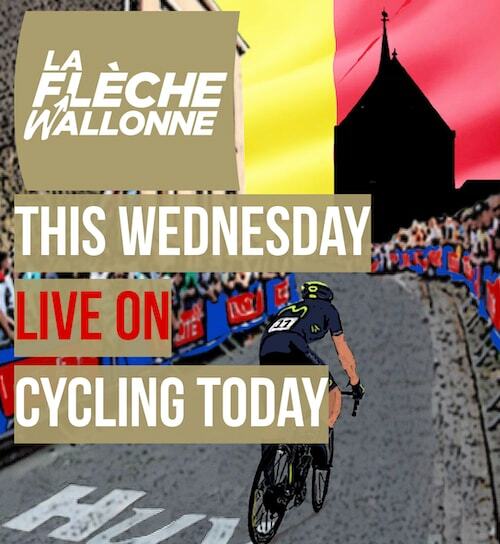 The race will have a rest day Thursday and resumes on Friday with the queen stage.